Genre: Young Adult. Mystery. Romance. If everyone loves the world's hottest band, who's trying to destroy them? Most people would love to be Lorna Powell, travelling the globe with her brother and his mega-famous band. Then again, most people don't realise just how annoying four handsome rock stars can be. A new home and a new school seem like the start of a normal life - until Lorna overhears a chilling plot to silence the band forever. Soon Lorna is drawn into a frantic attempt to identify the killer before they strike. But it's not easy to track suspects around the world when she’s got homework to do and secrets to protect. And when gorgeous lead singer Marius starts to act strangely, Lorna wonders if she’s had the wrong idea all along . 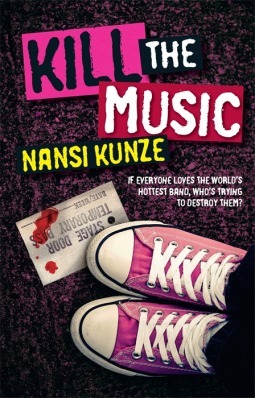 . .
Hand me a book by Nansi Kunze and it’s pretty much a given that I will adore it, not only that but I will read it in about two hours or less. Nansi’s books are probably the most enjoyable books I’ve ever read- there just so quick and easy to get through, but at the same time they are incredibly intelligent and witty. I could talk for hours about Nansi’s books but today, I’m just focusing on this one. This one is a little bit different to her past two books. Mishaps and Dangerously Placed, which are both mind-blowingly amazing, are a bit Sci-Fi, but Kill the Music is something different. It’s a sort of mystery, contemporary, romance, action, almost even a bit spy-ish, and all these elements together makes for one hell of a book. 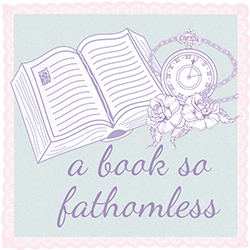 It starts off normal enough and then suddenly, you’ve been thrown into the world of Lorna and Turmoil, and then before you know, you finished the book and its left a big gaping hole in your heart for Marius. (Maybe that was just me, though). Lorna, like all of Nansi’s main characters, is wonderful. She seems so real, even though her life is something out of a teenage girls dream. But Lorna is not a pop-star herself, she’s just a normal girl going through high school, or at least attempting to go through high school. I think the fact that Lorna is just a normal girl who struggles with classes and making friends and annoying older brothers (something that I have very much in common in Lorna) is what makes her such an amazing main character. At the same time, she is so very badass- let me ask you this, how many teenage girls do you know that will try and take down a killer to save her brother and his friends? Personally, I would terrible at it. But that’s what makes this book so fun- it’s the fact that yeah, Lorna is a normal high school girl, but she also fiercely protective of the ones she loves. Talking about the ones she loves- the boys of Turmoil. Oh my god. I swear, if they were a real band- I was be their biggest fan. They are just so funny (and incredibly attractive) but they’ve also got this sweet side that you get to see through their interactions with Lorna. Flint, Lorna’s brother, is adorable. I think that’s the only way you can describe him. It felt like he was my older brother with all of his protectiveness and silliness and even though there were times where I felt so embarrassed for Lorna- he was still a great brother and a great character. Marius. How to explain the beautiful Marius? Basically, I think I have a new literary boyfriend. At first, I wasn’t a fan of him- he sort of seems to be one of those real rock star, arrogant types but as the book progresses you actually get to see how wonderful he is. By the end, as I said before, there’s a big gaping hole in my heart where Marius belongs. He’s actually a real person, you know? I refuse to believe otherwise. This story is just amazing. Both the plot and the characters are as important and fun as the other. They work so well together, it wouldn’t be the same story without the characters and they wouldn’t be the same characters without the story. I think that shows just how perfectly they fit together. And as for that ending...well...*heart melts*.